MICHAEL Jackson's two eldest children want to testify at Dr. Conrad Murray's manslaughter trial. Prince Michael, 14, and Paris, 13, are determined to give evidence against the physician - who has been accused of administering the lethal dose of the anaesthetic Propofol that killed Michael in 2009 - even though their grandmother Katherine thinks it is a bad idea. A source close to the Jackson family told RadarOnline.com: "Katherine is resisting the move, because she knows how traumatic it would be for them, but both Prince Michael and Paris have said they want to tell the jury what they saw on the day their father died. "Prince and Paris are determined to take the stand, though. Ultimately, I don't believe Katherine will deny them that chance, even though she doesn't want them to and has told them so. The kids have said they don't want their father's legacy to be tarnished by the trial and they believe their evidence will help convict Dr. Murray." 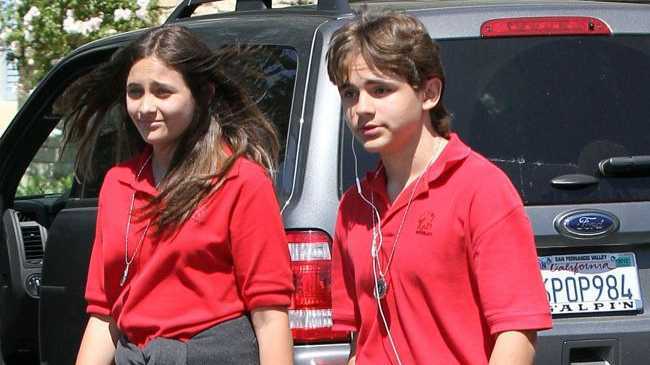 However, even if Prince Michael and Paris are allowed to testify, both Katherine and Michael's sister LaToya Jackson have agreed that their younger brother 'Blanket', 10, is too young. 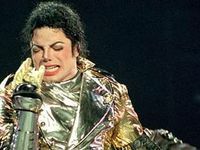 The source added: "Both LaToya and Katherine agree, however, that Blanket should not testify as he is too young." 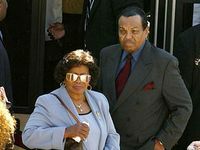 However, a second source close to the Jackson family is worried that the children's formerly close relationship with the doctor could save him from conviction. The source said: "Prince and Paris adored Dr. Murray and thought he was a God send for their father. It was only after their father's death that they formed a subsequent opinion of him. Both Prince and Paris could take the stand and wind up providing evidence which supports the doctor. "Prince and Paris knew their dad relied on Dr. Murray to survive and knew their father adored him. Their comments could save him from jail because it would work well in the eyes of a jury."